Arianna Taboada tells us what we’re doing wrong with first-time motherhood, and how to fix it. 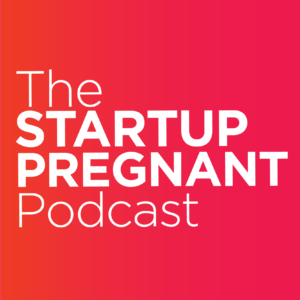 Arianna Taboada is a Maternal Health Consultant for Entrepreneurs. With her Masters of Social Work, Masters of Science in Maternal & Child Health plus three years of specialized training by the US Maternal and Child Health Bureau, Arianna is uniquely qualified to help entrepreneurs and first time mamas-to-be to make their maternity leave and transition to motherhood smoother, all while keeping their business thriving. 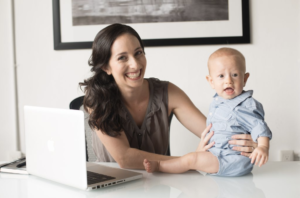 She brings expertise as a maternal health professional, as well as a fellow business owner and mama to the table. Arianna lives in the San Francisco Bay Area with her husband and son. Today, we share our conversation with her about how she started her business, why entrepreneurs run into unique challenges creating maternity leave policies, and why maternity leave isn’t a “nice to have” policy, but a fundamentally important one for the health of our society. Tell me about your business and how you started it. ARIANNA: I come from the health professional world. I received my Masters in Social Work, then trained for three years with the US Maternal and Child Health Bureau. It was a program where they taught all different types of health professionals how to collaborate across disciplines to ultimately improve outcomes for the mom-baby unit. Afterwards, I got my Masters of Science in Maternal Health. In the beginning of my career I was in formal scientific settings and then in research for Maternal Child Health programs. In 2012 I opened up a private practice focusing exclusively postpartum support services. I covered all the facets of motherhood, but what kept coming up was that maternity leave was a universal issue, so I ended up tailoring my work to that need. When I started planing for my maternity leave I basically turned into my own client, using all of the same tools that I had walked people through. When I started planing for my maternity leave I basically turned into my own client, using all of the same tools that I had walked people through. Because of the gaps in both policies and services plus really just being left out of the entire framework of maternity leave, I decided then to focus specifically on the needs of self-employed women, small-business owning women and entrepreneurial women. Even the countries with the strongest maternity leave frameworks, they are still not considering self-employed women in those frameworks. Even the countries with the strongest maternity leave frameworks are still not considering self-employed women in those frameworks. What are some of the problems women business owners run into when they are tasked with designing their own maternity leave policies? There is no roadmap, there are no best-practices, there’s no social safety umbrella that we can turn to. In most countries, there’s some type of support services around maternity leave and the transition to motherhood. The idea is that: (1) you can afford and purchase services, (2) you get them through your job, or, (3) if you’re most vulnerable, you get access to some kind of public services. None of those three options exist for self-employed women in this country. The systems-level support of policies and services don’t exist. There isn’t a roadmap or a public narrative about what it means to have this transition to motherhood, and more importantly, to working, business-owning motherhood. That is perhaps one of the biggest barriers. In my work, I’ve noticed two themes emerge for self-employed, business-owning women. For example, I followed the second theme. I planned, banked, and outsourced in order to have 4 months of leave. And at about 6 weeks, I thought: I am so bored! I’m busy, but I’m not stimulated. And wanted I to go back to work. So I think there’s a real need for more of a discourse and dialogue around the possibilities for what maternity leave both in terms of a visioning of what could this look like as well as what the nuts and bolts are to make that happen. Yes. Just yes. We need so much better visioning about what leave looks like. So how do you work with clients to create a plan? I usually begin with my clients talking about the nuts and bolts—things like timelines and necessary steps. I then also like to use a visioning tool that looks like concentric circles. The innermost layer is what you need in order to have your basic needs met both personally and in your business. Then we go out into wider spheres and talk about what does the transition mean for: my personal identity, my professional identity, my health? What are the different supports that I’m going to need at all the different layers—the personal layer, the family layer, the business layer—to keep my own health and business’s health thriving? Can you tell us about why is maternity leave is not a “nice to have” but actually a critical time for the health of the baby and the mom? Let’s start by talking about anywhere else than the United States. At a very fundamental level, maternity leave is a human rights issue. Internationally, maternal health is a human rights issue and maternity leave is a part of that issue. The human rights and dignity that has to do with health—which are tied to longterm outcomes, economic outcomes, generational outcomes—are based in the need to have a protected time and a space for that transition. So in other countries you see policies that provide everything from economic benefits to women who’ve just had a child, to really clear workplace policies to national policies. Human rights is this first layer or framework. The second thing is the economic imperative. In the US, because there isn’t a legal or human rights framework, there’s been an economic framework strongly used. Thus maternity leave has been turned into a recruitment and retention tool for corporations. In order to attract and to keep top talent, maternity leave is built in as a part of this attractive benefits package. This benefits the company economically by allowing them to retain top talent and by helping them have the healthiest workforce possible. By giving their working mothers time to recuperate physically, mentally, intellectually, they can return and fully contribute to the growth of the company or startup or team. The third layer is the scientific evidence space, where research is mostly done by health economists on policies and health outcomes. The evidence is pretty clear that wider coverage and more “generous” time off policies have a direct association with health incomes for mom. 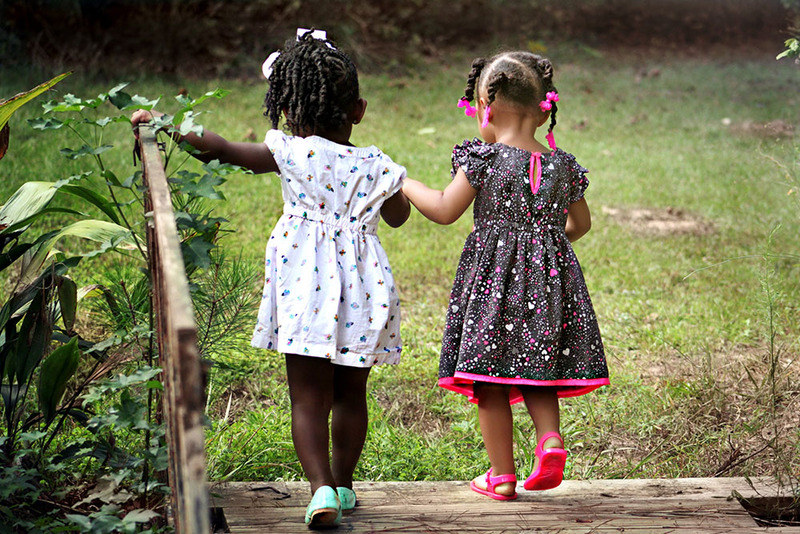 When mom has a better health outcome, that’s directly tied to health outcomes for babies. When women design their own maternity leave policies, I’d imagine it looks different than how it looks inside companies. Is this true or not? Even the most intelligent, well-meaning, women’s-health focused person in leadership will still struggle in creating maternity leave. We just don’t have any good roadmaps, models, or best practices in place. Which means that we are essentially pulling from nothing. We don’t have a narrative. This is a major barrier to envisioning what could be possible, what could be feasible. I think it’s partly because these conversations are happening all in silos—i.e., as needed at companies. We’re often in a reactive place when planning policies as they’re usually being designed in response to a team member that has to take a leave. So the policies are tailored to one person, or to that point in time based on the needs of the business. They’re not based in human rights, economic, or scientific imperative. We do have the potential to have a more inclusive approach when women are designing them, and I think that starts by bringing more people to the table and starting this conversation outside of an immediate, personal need. “Even the most intelligent, well-meaning, women’s-health focused person in leadership will still struggle in creating maternity leave.” — Arianna, this couldn’t have come at a more poignant time. Thanks so much for doing this interview and sharing your wisdom about how imperative it is that we design better leave policies — for the health of our future generations and for the well-being of women!